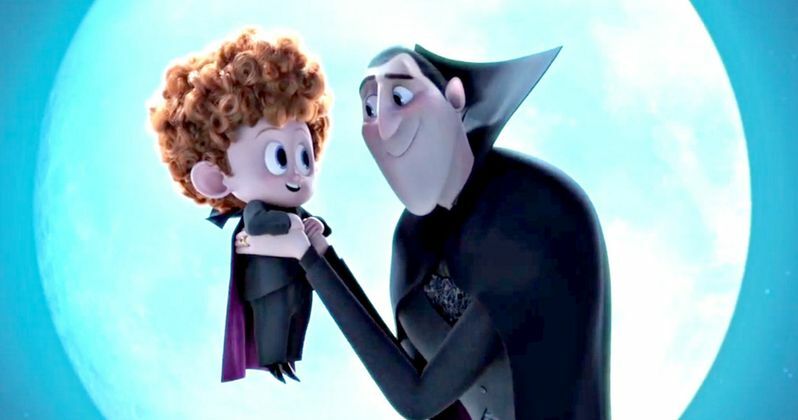 Hotel Transylvania 2 Trailer Is Here! The Drac pack is back for an all-new monster comedy adventure in Sony Pictures Animation's Hotel Transylvania 2! The first teaser trailer has been released for director Genndy Tartakovsky's sequel to the 2012 smash hit Hotel Transylvania. Adam Sandler is back as Dracula, and this time he's bringing Mel Brooks in to help with some family drama! Everything seems to be changing for the better at Hotel Transylvania...Dracula's rigid monster-only hotel policy has finally relaxed, opening up its doors to human guests. But behind closed coffins, Drac is worried that his adorable half-human, half-vampire grandson, Dennis, isn't showing signs of being a vampire. So while Mavis is busy visiting her human in-laws with Johnny - and in for a major cultural shock of her own - "Vampa" Drac enlists his friends Frank, Murray, Wayne and Griffin to put Dennis through a "monster-in-training" boot camp.